Hashtag King, as many in the poker world feel, is totally unhinged. 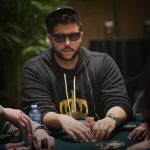 The Canadian CPA recently appeared on Poker Night in America and was scheduled for an upcoming appearance on Live at the Bike, a cash game show at the Bicycle Club in Los Angeles. That’s not going to happen. After originally saying Salomon Ponte, AKA Hashtag King, would be allowed back on the show, Live at the Bike released a statement on Twitter, announcing a change in direction. “We are cancelling Salomon Ponte a.k.a. Hashtag King’s scheduled appearances on Live At The Bike next week,” the show’s social media account posted. The decision to ban Ponte wasn’t easy. As one commenter said, Hashtag King is a “villain” which “makes for good TV,” and he throws chips around the table. But the show’s producer explained he was forced to make this move. “That’s why we almost went forward with it. But he defied our requests. Possibly intentionally so that we would cancel,” Ryan Feldman responded. 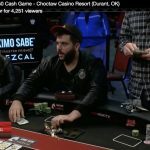 Shaun Deeb announced a Live at the Bike boycott if the livestreamed cash game show puts Ponte on air. 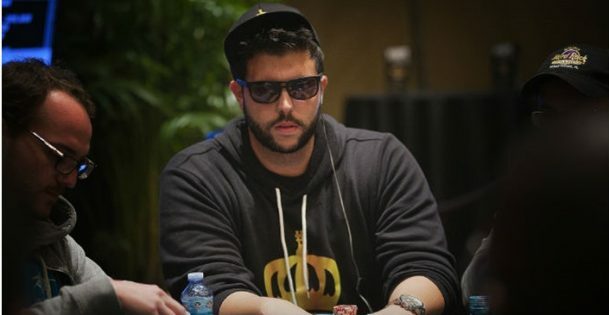 Others in the poker community called for his removal. But the Los Angeles-based poker show didn’t officially ban him until Hashtag King forced their hand. Ponte has been kicked out of multiple casinos in recent weeks for poor behavior. He was also booted from a popular Las Vegas restaurant called Pot Liquor, for refusing to pay his $80 tab. The poker player recorded the incident on Periscope. In the video, he dissed the waitress who attempted to get him to pay for his meal by referring to her as “fat” and other insults. He made numerous racist and misogynistic comments towards her and other Pot Liquor employees. Has Hashtag King Gone off the Deep End? 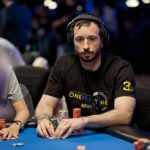 Hashtag King, since becoming a hot topic around the poker world a few months ago, was immediately known for having an arrogant personality. But it wasn’t until recently when many poker players started taking notice of just how belligerent he is. His Poker Night in America appearance last weekend may have exposed Ponte as a “bad boy” who crossed the line. The Pot Liquor incident and multiple times getting kicked out of Las Vegas casinos may have been the last straw for some poker players. Based on social media comments, most don’t want his act on televised poker shows. His reputation is tarnished, according to some. Ponte is now unable to respond on Twitter to his haters. Both of his accounts have been suspended, likely for abusive behavior. The poker world has spoken, except for the minority, poker players are fed up with Hashtag King’s act. If his next play isn’t to cut out the racist and sexist comments, his game will be in the muck for good. Why would anyone play poker with this MORON. Racist commits and abusive behavior then he wants me to play nice with him. LMAO Guys like him give poker a bad name and the public see’s this and thinks how bad poker must be. I am happy that they have banned this idiot. He’d never try that disrespect at Commerce, one of the most ghetto casinos in LA. If he did, he’d be dead in a parking lot.